This super-easy, four ingredient fruit and oatmeal smoothie is a fast, delicious and healthy breakfast ready in just minutes -- perfect for crazy hectic mornings. Which means that quick-and-easy is still my number one mantra. While that's proven to be pretty easy for weeknight dinners, thanks in large part to the slow cooker, it's proving harder for breakfast, without falling into a rut of eating the same thing every day. Smoothies have increasingly become my go-to breakfast -- if I've cooked up a batch of quinoa for the week, I opt for a quinoa protein smoothie with whatever berries are in the freezer. Otherwise, I rely on oatmeal to make my smoothies a nutritious and filling way to start the day. 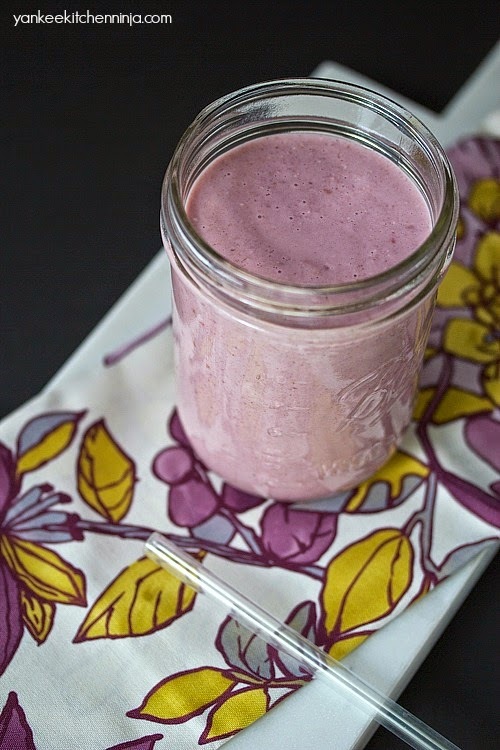 This fruit and oatmeal smoothie is by far the easiest one I make. And it can pretty much be different every day if you mix up the type of fruit. For the best consistency, you definitely want to use a mix of frozen and fresh fruit. If I've got bananas on the counter, I'll use those with frozen berries. With warmer weather and strawberry season on the horizon, I'll mix fresh strawberries with frozen bananas. Just be sure to keep the ratios of fresh to frozen the same. 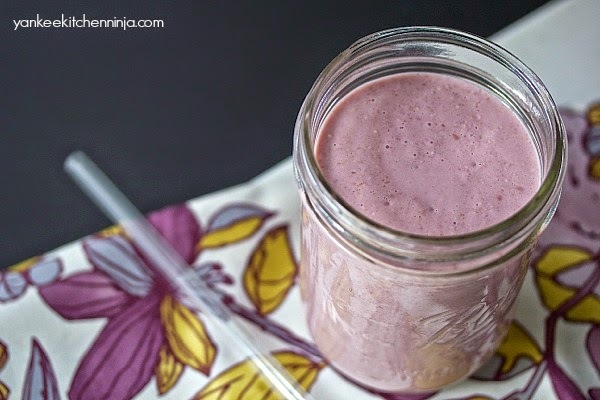 For the smoothie in this photo, I used frozen raspberries and fresh banana. I keep my fruit and oatmeal breakfast smoothie pretty au naturel, but you could definitely add some protein powder, chia seeds, maca powder -- whatever kind of super foods are cranking your tractor this year. And if you like your smoothies a bit sweeter, blend in a dried date or two to keep it healthy and refined sugar-free! The best part is that blending up this smoothie is so ridiculously quick and easy that you have no excuse to not have an awesome, healthy breakfast every single morning -- even when you're on the go. Are you hooked on smoothies as I am? What's your favorite combination? Leave a comment: The Ninj wants to know. Be sure to use an equal mixture of fresh and frozen fruit for perfect smoothie consistency. Thanks, Allie. And you're the second person that's suggested coconut milk for a smoothie, so I clearly need to give that a try! I love oatmeal smoothies, they're super filling and crazy easy! They sure are, Sharon -- glad you're a fellow fan! I love smoothies but never though to try it with oatmeal .. brilliant! I'll give it a try! (apologies if this appears twice); My lazy standard is PB, banana, cocoa powder, and yogurt (maybe some agave for sweetness). But last week in Austin I had a variation on that: PB, banana, cocoa powder, almond milk, acai, and blueberries. I thought the blueberries would be weird, but it was really good. Note to self: buy frozen blueberries! Gotta try the oatmeal smoothie this wkd for the 12 yr old..